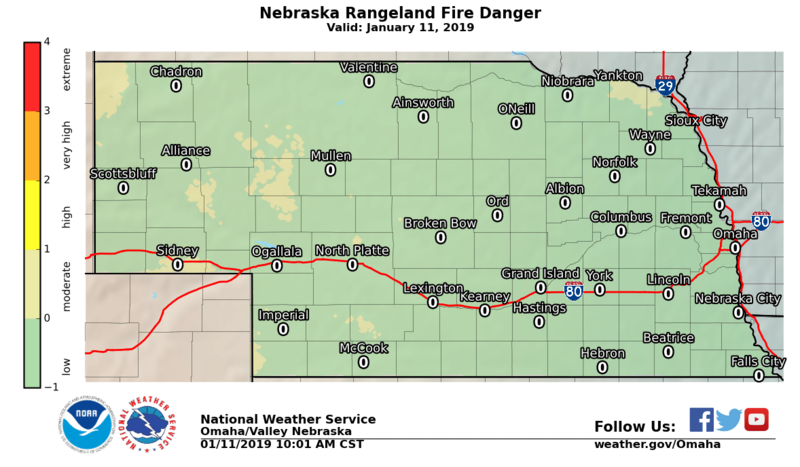 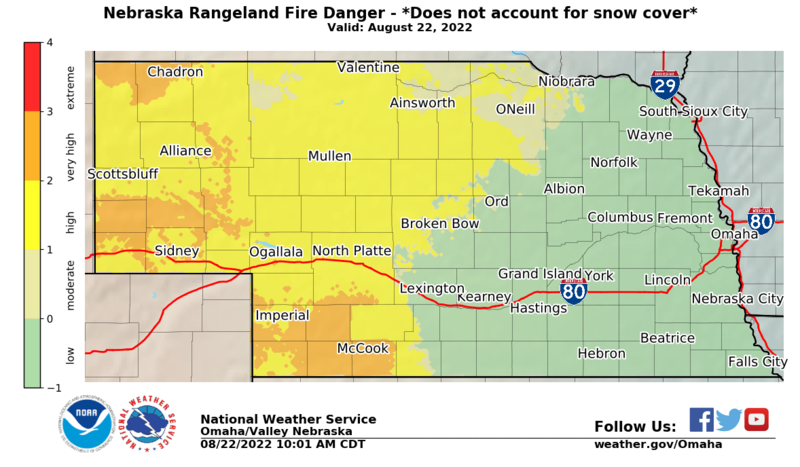 These maps are developed by the National Weather Service (NWS) and used in cooperation with the Nebraska Forest Service. 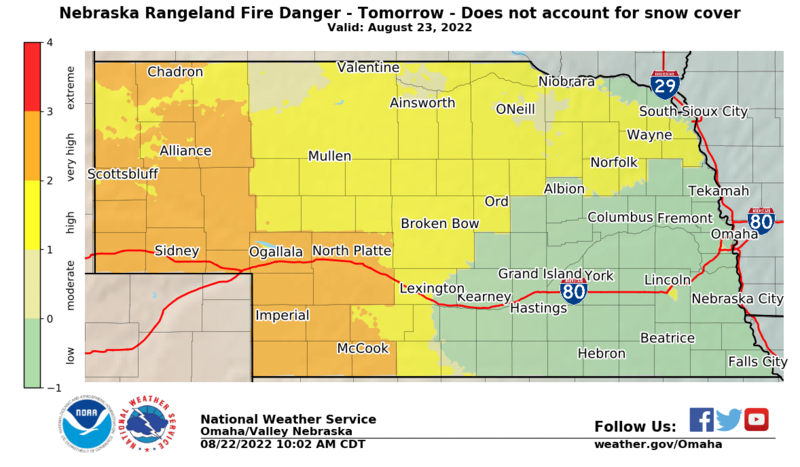 Maps are updated by NWS periodically throughout the day. 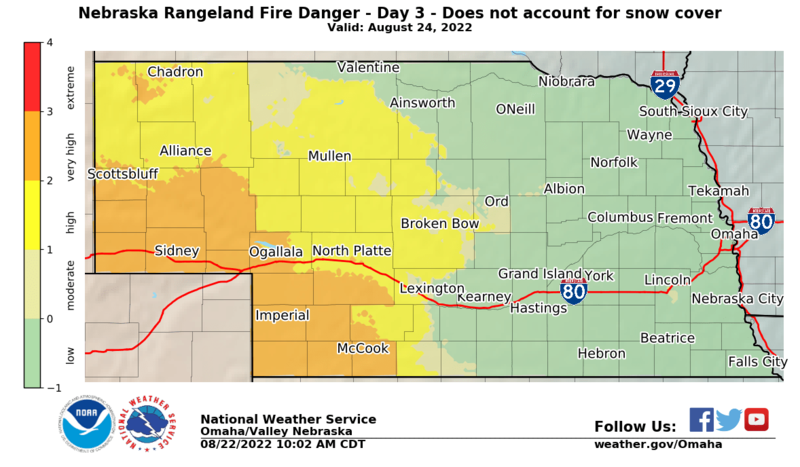 Please check the time stamp on each map to determine when it was last issued.